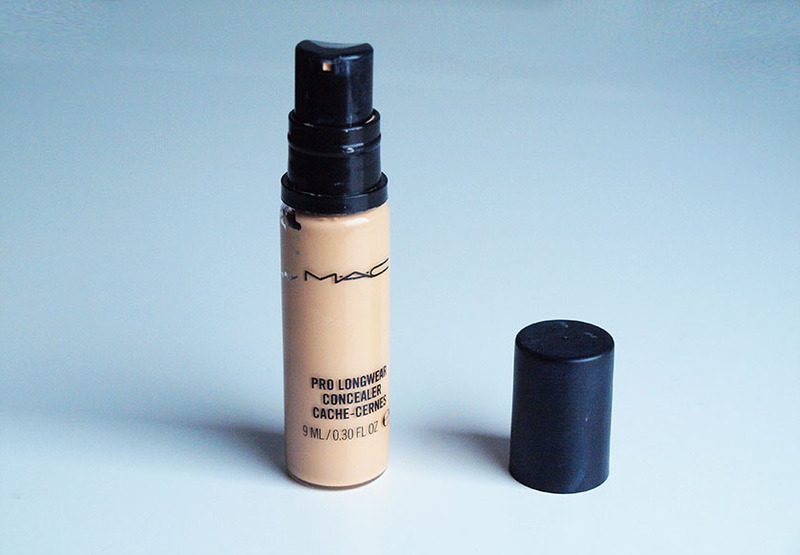 After having a horrible reaction to MAC Studio Fix Fluid, I was very sceptical about trying their concealer, but... I had some Debenhams points on my card so I decided to give Pro Longwear Concealer a go. It was mainly for camouflaging my under eye circles and blemishes, so I didn't expect it to cause any problems. £15.50 for 9ml isn't cheap, but I guess it's ok.... Although... as soon as I started using it, I was really annoyed about the pump. It dispenses far too much product and you waste about 80% of what comes out each time. I manage to control it sometimes, but most of the time I squeeze out enough to cover my full face, which is just pointless. I would recommend dispensing some product into a little pot and using it that way, or maybe unscrew the pump each time you want to use it? It would be a little bit unhygienic though. Moving on... The product itself is amazing, covers imperfections really well and conceals dark circles better than any other concealer I have ever tried. It is super pigmented and gives very good coverage. 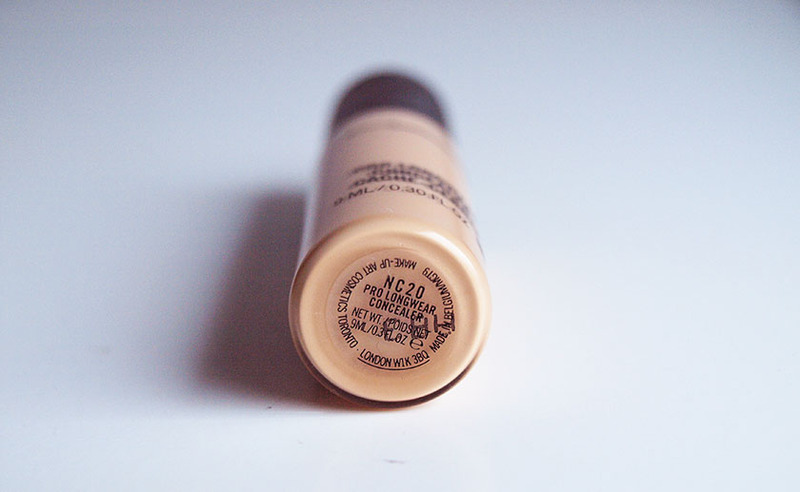 I got mine in shade NC20, which is the perfect MAC shade for my skin tone. 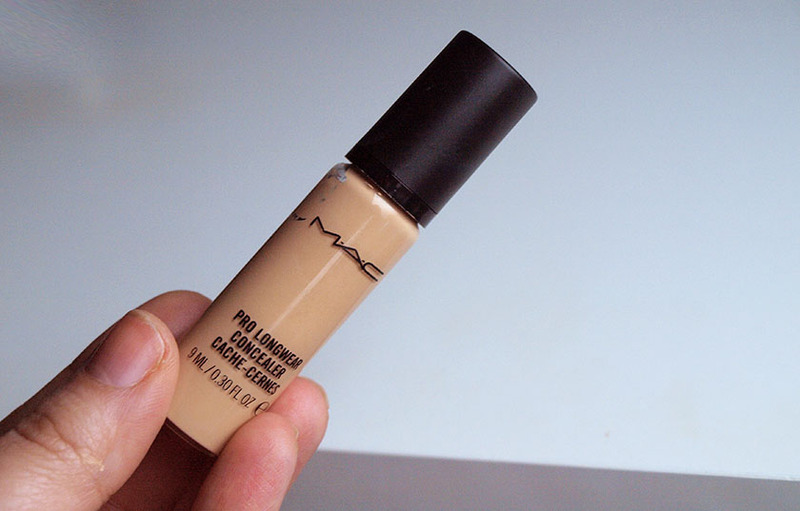 I apply the concealer with my fingers and the finish looks very natural. It stays put all day, with just a tiny bit of powder on top (I use Hourglass Ambient Lighting Powder) and it doesn't crease on me, unless I apply far too much of it. Without a powder, it lasts for 8-10 hours which is great too. I was very impressed when I first used it but... just like the Studio Fix Fluid, Pro Longwear Concealer broke me out terribly. When I removed my makeup after trying the concealer for the first time, I noticed small bumps on my forehead and on all the areas where I used the concealer. The next day, I had new (very sore and annoying) spots around my old blemishes and... even under my eyes! Not directly under my eyes, but really close to the eye area and exactly where the concealer was applied. I knew right away that it was a reaction to the concealer, because the spots looked the same as the ones I got after using Studio Fix Fluid. It's such a shame, because I love the high coverage and lasting power of this formula. It took my skin over 2 weeks to get back to normal and I wore no makeup 5 out of 7 days to let my face breath and recover. L-R: The first photo shows how much product comes out with each pump- far too much (10 times more, than I need)!The second photo shows my hand when I wiped off the excess, leaving me the amount I actually need to conceal dark circles and blemishes. Third photo -blended out.